Another weekend, another opportunity to get out with the camera. Knowing that five planets were currently aligned for the first time in a decade, along with a possible clear early morning sky, I tried to find a reasonably near location with some height and opted for St Martha's Hill. The hill is a landmark in Surrey and only a few miles from Guildford. 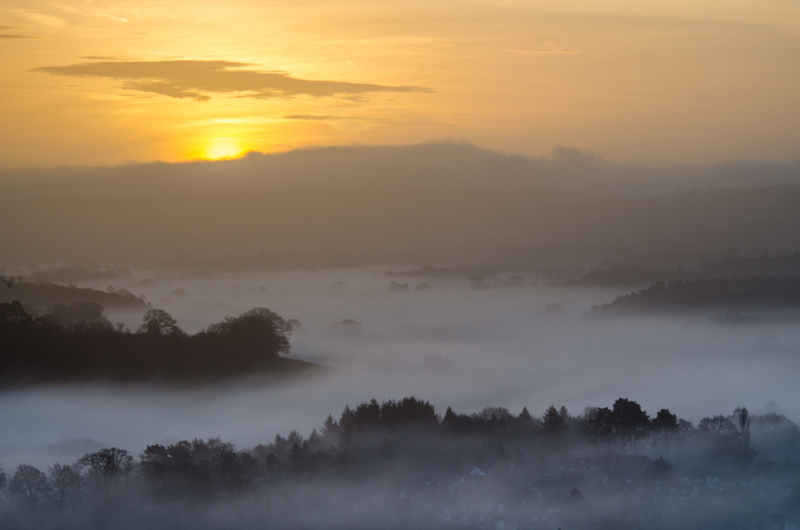 Not the best location for 'dark skies' but with possible fog and mist in the forecast it also provided the possibility of some atmospheric sunrise photos. So a 5.00am alarm this time, better than last week(! ), so as to arrive on location in the dark for some star/planet shots before the sky brightened too much. The photo above is of St Martha's Church at the top of hill. Jupiter can be seen in the top right quarter of the image. Just above the left top corner of the tower is Spica (brightest star in the constellation Virgo) and directly to the left of Spica is Mars. Unfortunately with the brightness of the horizon and the cloud, it wasn't possible to see Mercury when it came above the horizon, but the panoramic shot below shows Jupiter, Mars, Saturn and Venus from right to left (click on the image to see a larger view). 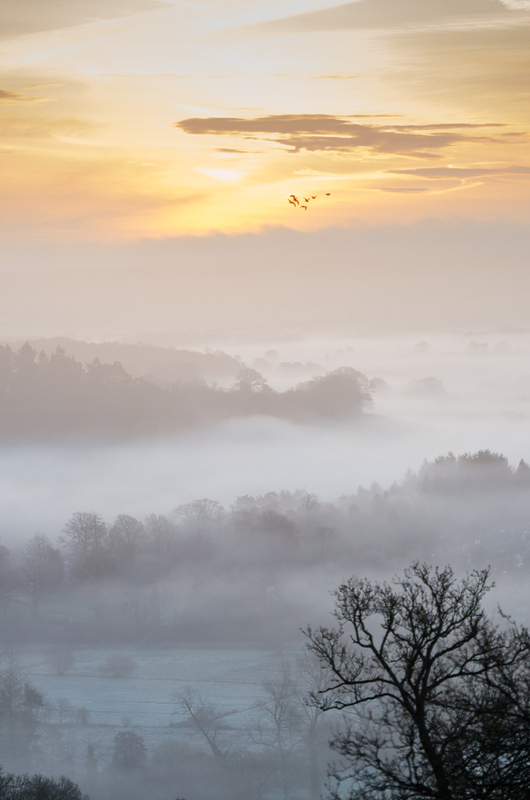 True to the forecast in my weather app the surrounding countryside was shrouded in fog and provided some great views while waiting for the sunrise. As the sun rose the atmosphere just intensified and provided a rewarding finale to another early morning Saturday expedition!